This book explores the central problems underlying the insurance of aviation war and terrorism risks and associated perils. It critically analyses the reasons why conventional insurance markets are unwilling or unable to provide sustainable insurance coverage for aviation war and terrorism risks in the aftermath of catastrophic events such as the terrorist events of September 11, 2001. It also examines some of the prominent concepts proposed and/or implemented after 9/11 to determine whether and to what extent these concepts avoid identified pitfalls. Like many of life’s essentials, the importance of insurance is most evident when it is not available. 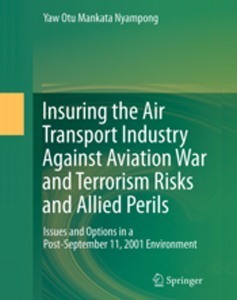 The sheer scale and magnitude of the insurance losses that followed 9/11 caused conventional insurance markets (which hitherto had been offering generous insurance coverage for aviation war and terrorism risks to air transport operators for little or no premium) to withdraw coverage forthwith. The ensuing absence or insufficiency of commercial insurance coverage for aviation war and terrorism risks has sparked a global search for viable and sustainable alternatives. Ten years have since elapsed, and despite numerous efforts, the fundamental problems remain unresolved. The book proceeds on the premise that the underlying issues are not entirely legal in nature; they have immense economic, psychological and policy implications that cannot be underestimated. A multidisciplinary approach is therefore used in examining the issues, drawing heavily upon analytical principles adapted from law and economics and behavioural law and economics. It is hoped that the resulting study will be beneficial not only to lawyers and those interested in aviation insurance but also to economists, air transport insurance program managers, capital market investors and governmental policymakers, both at the national and international levels. 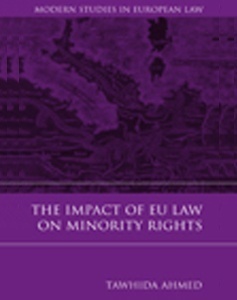 This book provides a critical evaluation of the ways in which EU law engages with minority rights protection: at its core is an analysis of EU law and minority rights. Unlike the UN or ECHR, the EU has no competence to set standards on minority protection and this has been a point of disappointment for minority rights advocates. 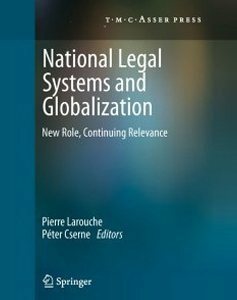 Indeed, this book will demonstrate that, in EU law, binding standards really only exist in the sphere of non-discrimination and are at their strongest in the field of employment. As such, binding standards within EU law affect only a small proportion of the canon of minority rights. However, the EU does have competence to promote diversity and facilitate redistribution of power and resources across the EU. According to a broad understanding of minority rights protection, acts of promotion and facilitation -alongside those of standard-setting - constitute essential underpinnings for minority protection. The EU's existing competences do therefore play a key role in minority protection. In order to support these conclusions, the book undertakes a comprehensive examination of the impact of EU law on minority rights protection.